Radiant successfully redeveloped and currently manages the BLK Superspeciality Hospital in Delhi. Radiant Life Care, which recently inked a management and operations pact with Balabhai Nanavati Trust for the 350-bed hospital here, is looking to almost treble the capacity to 900 beds at a cost of over Rs 350 crore and upgrade the 64-year-old facility inaugurated by the first premier Jawaharlal Nehru, as per a PTI report. "We will be helping to treble the capacity, including free beds strength at a cost of Rs 350-400 crore. The money will be used to add 600 more beds to the existing 350-odd beds. A good portion of the capex will be spent to add more super-speciality wings as well as to install state-of-the-art technology," Radiant Life Care Chairman and Managing Director Abhay Soi told PTI. The iconic Nanavati Hospital was inaugurated by Pandit Nehru in 1950 and was founded by Ratilal Manilal Nanavati in memory of his grandfather and physician to the royal family of the Gaekwads. This July, the hospital entered into an operations and management alliance with the city-based Radiant Life Care, as the 64-year-old institution plans to introduce best-in-class hospital management practices, expand operations and transform itself into high-end quaternary care hospital with world-class treatment facilities to provide healthcare solutions, a la the Mayo Clinic in the US. The new beds are to come up on the surplus area on the five-acre campus in the northern Vile Parle suburb. The hospital has additional FSI over 5 lakh sqft, Soi said. 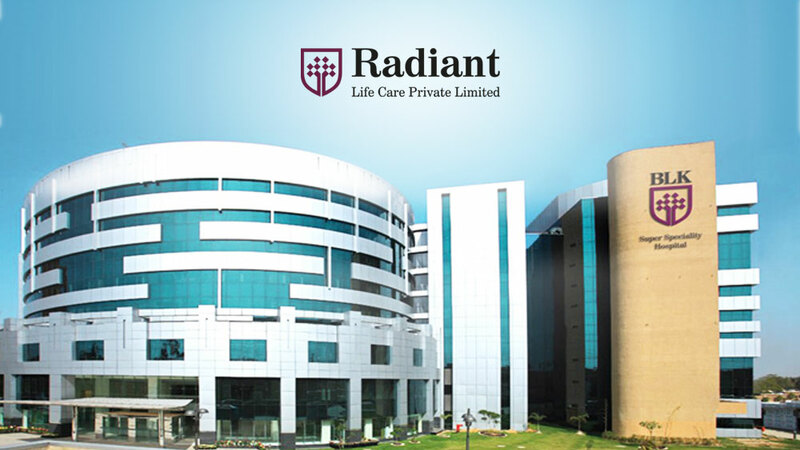 Radiant successfully redeveloped and currently manages the BLK Superspeciality Hospital in Delhi, which with 650 beds is the largest private sector hospital in the capital. On the expansion plans, Soi, who earlier worked with Arthur Anderson and EY as an investment banker and turnaround specialist, said within the next three years, which is the first phase, the hospital will have 300 new beds and the rest will come up in the second phase. During his i-banker days, the 40-year-old Soi had helped many firms restructure and turn around. He had also worked with KPMG's restructuring practice in Mumbai and in 2004, he moved to co-promote Halcyon, a $ 350-million special situations fund. On the makeover that he wants to introduce Nanavati Hospital, he said, expanding the service is his top priority now, which will see the hospital gearing up to offer liver and kidney transplants, refurbishing and upgrading the existing infrastructure, upgrading rooms, and rebranding the hospital as one of the top super-speciality facility in the megapolis. Soi says, "our arrangement with the Nanavati Trust is in line with our strategy of providing redevelopment and management services while not purchasing or owning assets. This ensures an asset-light model with high return on capital." Priyam S Jhaveri, Chairman of the Nanavati Trust said, "what makes me particularly proud is that this arrangement with Radiant not only enables us to reintroduce Nanavati as a high-end quaternary care facility but also enables a threefold increase in our free-beds strength and charitable offering."